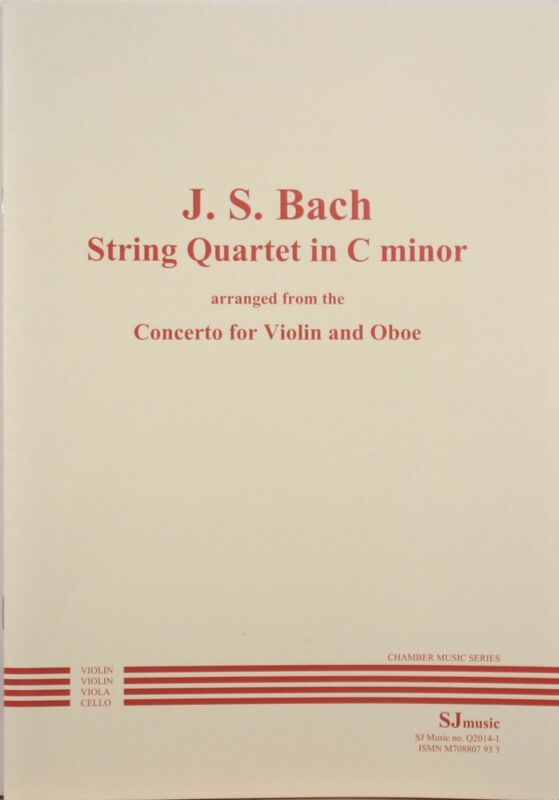 Bach would almost certainly have approved of this string quartet arrangement of his famous concerto for violin and oboe (BWV 1060) by John Cooley as he was well known for making arrangements of his own works, according to instrumental resources at his disposal. Bach himself made an arrangement of this piece for two solo harpsichords and string orchestra. It is quite “notey” but straightforward and accessible technically to reasonably good players as there are no tricky rhythms or high notes. As well as this Bach concerto arrangement, SJ Music has also published John Cooley’s arrangements of Mozart’s piano duets K497 and K521 for piano trio and piano quartet respectively, Bach’s organ Passacaglia and Fugue for string quartet, and one of Purcell’s trio sonatas for string trio.